Thanks to all who participated in this latest book giveaway for a chance to win a free copy of The Darkness After. I received some excellent submissions from those who participated by sending in their personal list of what they consider the Top Ten Essential Skills that any prepper/survivalist should possess or attempt to master. As you would expect, there was a lot of overlap in these lists, as most of us can agree on at least five of the top ten essential skills, especially: finding and purifying water, fire making, shelter making, navigation and food gathering (including foraging, fishing and hunting). Other commonly mentioned skills included the use of firearms for hunting and personal defense, knowledge of first aid, use of camouflage and stealth and hand to hand combat skills. One of the lists submitted had an interesting and probably overlooked skill set that most people should pay more attention to: mechanical skill to maintain gear, firearms and mode of travel. People who like to work on things as a hobby or have jobs that require mechanical skills may be all set in this department, but in today's society, fewer people do their own repairs or use their hands at work. If you are among them, you can begin by doing small, routine maintenance jobs on your home, vehicle and other items. As you gain proficiency in this, your confidence in your ability to keep everything you need going after the SHTF will be much greater. As stated in the last post announcing the book giveaway, the five winners were chosen at random by a drawing, not based on the quality or content of their Top Ten List. To those who didn't win, I still appreciate your participation and contribution. 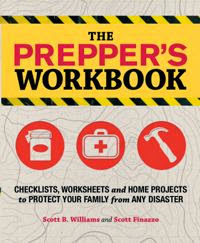 As Scott Finazzo and I put the finishing touches on The Prepper's Workbook, these lists will be taken into consideration as we complete the final section of the book, and you may see one of your ideas published there. The winners have also been notified by email and the books will be sent out today. 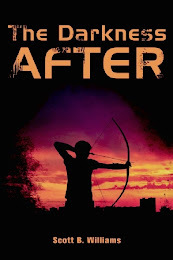 My latest novel, The Darkness After is now available and shipping in both the print and Kindle versions on Amazon, and most everywhere else books are sold. I've been getting some great feedback from those who have read it, and I think if you enjoyed The Pulse, you will like this one too. The action is a little more fast-paced, and it is also a somewhat shorter story and therefore a pretty quick read. Another difference is that most of the action takes place on the road or in the woods, and there is no sailing or international travel involved in this one - just two young people with different but very strong motives to get to their destinations. If you'd like a chance to win a free copy so you can check it out, I want to announce two book giveaways: one here on Bug Out Survival and the other on the Goodreads website. 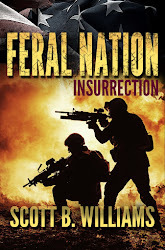 My coauthor, Scott Finazzo, and I are putting the finishing touches on The Prepper's Workbook, and the book giveaway I'm doing here relates to that project. In the final section of the workbook, we discuss The Top Ten Survival Skills Every Person Should Know. What do you think are the top ten most important survival skills and why? Post your answers in the comments section below or send them to me directly by email to scott@scottbwilliams.com, making sure to include your mailing address, to enter the drawing on August 15 for five (5) signed copies of The Darkness After. Who knows, maybe you'll submit something we haven't thought of and see your suggestion printed in The Prepper's Workbook when it is published in September. 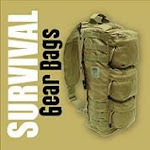 I'll announce the winners no later than Friday, August 16 right here on Bug Out Survival. The other book giveaway for The Darkness After is hosted on Goodreads and all you have to do is sign up below for a chance to win one of ten (10) copies.